The president, John Dramani Mahama has been charged to provide the needed leadership to help redeem the country from the quagmire of problems it is currently facing. According to the Asantehene Otumfuo Osei Tutu II, who graced the 19th Ghana Journalists Association (GJA) Awards in Accra, Saturday, many of the challenges facing Ghana currently can be addressed through an effective leadership response. The Asantehene Otumfuo Osei Tutu charged the president to make use of the rich human resources available at his disposal, “and the country will be the better for it”. 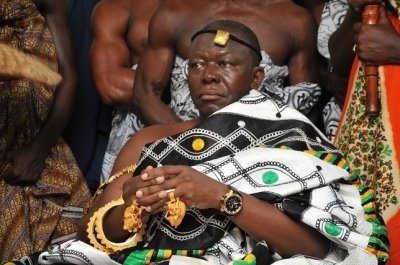 Otumfuo added: “I have already alluded to the fact that we are passing through difficult times. The fact that we may have been through a similar or even worse experience before can be no comfort. “What matters is to fix the problem. And while we contemplate the role you can play, we must look to the leadership of the state for the solutions. The tendency to tinker with problems by a process of shifting cultivation does not inspire confidence. The Asantehene Otumfuo Osei Tutu II also bemoaned the increasing level of corruption which is fast eroding business confidence and destroying the basic fiber of the Ghanaian society. He said: “The community of international business and finance is expressing concerns that Ghana may be drifting to the tipping point of irredeemable corruption. “Is there some salvation on the horizon? Not if you listen to the political class and the debate in the media. For them, corruption is not the issue. He stressed that the alarming level of corruption “is not something to trifle with. It is destroying business. It is undermining national governance. It is frustrating individuals. And it is eroding international confidence in our country. “We must accept that it is part of the problems afflicting the economy today and while we ponder over policy options, we must cry out for some act of courage to tackle the scourge of corruption, not on the peripheries, but at the top,” Otumfuo Osei Tutu II stated.